Cougar Point is a great strategic layout redesigned by Gary Player, where players need to think their way around short and long par-4s, great risk/reward par-5s and extremely scenic and challenging par-3s.Cougar. Point Golf Course was recently rated the “Golf Course of The Year”, by the South Carolina Golf Course Owners Association. One of the most dramatic vistas on the island is the middle of Cougar Point’s front nine, along the Kiawah River, making this course a very memorable one. Originally named Marsh Point, Cougar Point was redesigned by Gary Player in 1996 and plays 6,875 yards. 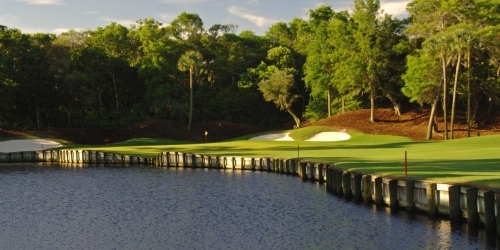 Recently awarded a near-perfect 4½ stars in Golf Digest’s “Best Places to Play” reader’s poll.